Dr. Harley is a licensed clinical psychologist who specializes in neuropsychology. She graduated from Rensselaer Polytechnic Institute with Bachelor’s of Science degrees in Psychology and Biomedical Engineering. She then attended Palo Alto University where she earned her doctorate degree as well as her Master’s of Science degree in Clinical Psychology with an emphasis in Neuropsychology. 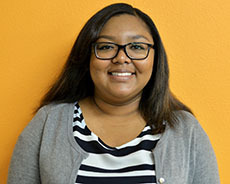 She completed her predoctoral internship training at the VA Loma Linda Healthcare System. After receiving her PhD, Dr. Harley completed a two-year postdoctoral fellowship in Clinical Neuropsychology at Kaiser Permanente, Roseville. She has experience providing neuropsychological services to children, adolescents and adults with a variety of developmental, learning, psychiatric and neurological conditions. Harley, A., Balzafiore, D., & Wroolie, T. (2016). Hormone therapy, mood, and cognition. In, H. Lavretsky, M. Sajatovic, and C. F. Reynolds III (Ed. ),Complementary, alternative, and integrative interventions in mental health and aging (pp. 99-109). Oxford University Press.